Mr. Bentley led Canfor as CEO from 1975 to 1995 and continues to serve as a director. Canfor is not only one of BC’s largest home-grown enterprises. It is arguably one of its most formative because the forest industry built many of the communities and much of the infrastructure across this vast province. His long tenure at the helm of one of the most significant contributors to the BC economy has made an indelible impact on the prosperity of the province and has touched the lives of tens of thousands of people who build their lives around a career at Canfor. Peter Bentley served as Chancellor of the University of Northern British Columbia from 2004 to 2007. He received honorary Doctor of Law degrees from the University of BC and University of Northern BC. Mr. Bentley has served on major company boards and was a past chair of the BC Business Council. 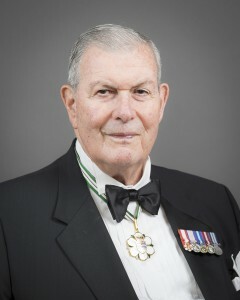 He founded the Vancouver General Hospital Foundation in 1980. He is member of the BC Sports Hall of Fame, having won the WAC Bennett Award, and a past chair. He is an Officer of the Order of Canada.